To close 2010 and open 2011, last New Year’s Eve I helped set up a big dance party. 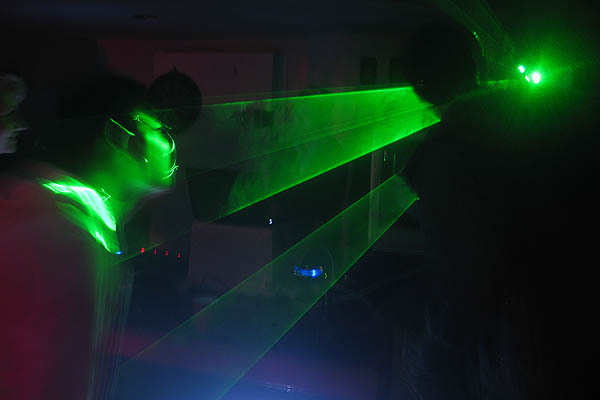 This included helping move a bunch of stuff, clean a bunch of areas, insulate a bunch of doors and windows against sound so we wouldn’t annoy the neighbours, but the most important part was to help test the dance lights and lasers. 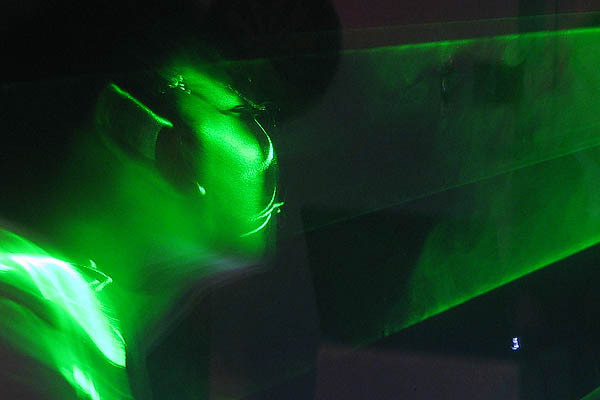 The testing method for the lasers was simple: one person would adjust the position of the laser, the rest of us would say whether it was either A) Awesome or B) REALLY awesome. While helping test the lasers, I was also busy taking some photos of the dance floor before the big crowds arrived, and over 8 months later I happened to stumble across those photos on my external hard drive. I realised I’d never actually looked at the photos because I had caught a flight back to South Sudan such a short time afterwards, so I had a quick flip through to refresh my memory and WHAM! There was the GREEN LASER GOBLIN! The photo below has only been re-sized from the original, not edited. So far, we’ve failed to determine who the green laser goblin is, so it could very well be that he was in fact a product of the green beam of laser light that lit up the room that crazy night. This entry was posted in Humour and tagged Laser goblin, New Year's Eve, UBC Engineers, Vancouver.